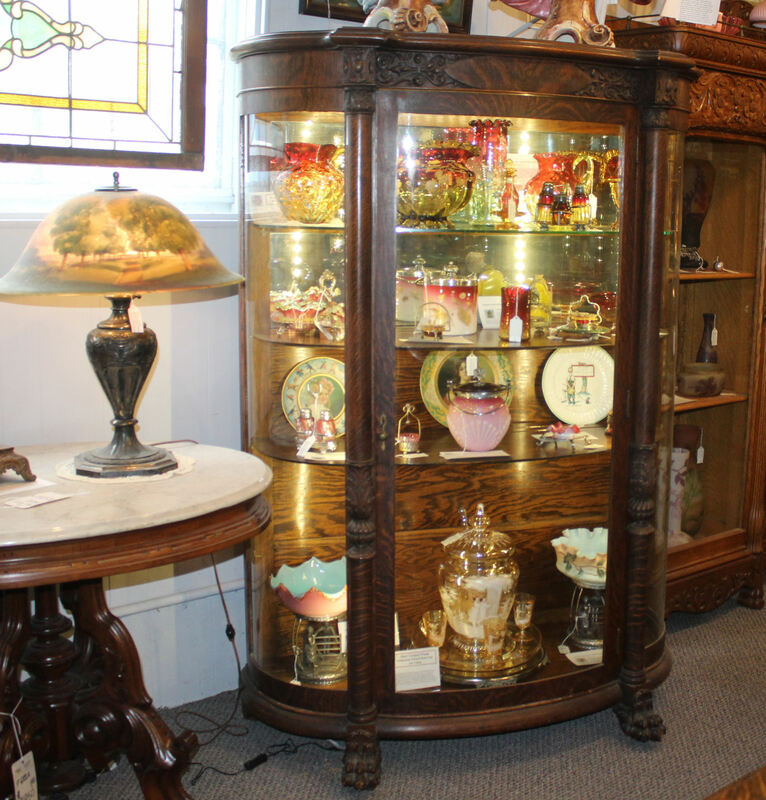 This is an oak China Cabinet in very good original finish. The cabinet has three curved glass panels with carved columns on each side of the door, supported on highly carved claw feet. The shelves are adjustable with the top shelf glass and the others are wood. Measures 45″ wide, 18″ depth and 67 1/2″ Height. Circa 1900. Close up of bottom of the cabinet. Note the carved columns.